Founding Chief Executive Officer and Vice Chairman of the Board of Directors at GRAIL, Inc.
Jeff is the Founding Chief Executive Officer and Vice Chairman of the Board of Directors of GRAIL. GRAIL’s mission is to detect cancer early, when it can be cured. 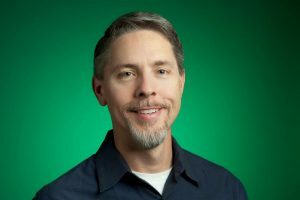 Prior to Grail, Jeff worked at Google[x] at the intersection of life science and computer science (2013-2016). Previously at Google, Jeff led development for Google Ads (2003-2011), Google Apps (2005-2010), and Google Maps (2011-2013). Earlier, Jeff was vice president of architecture and systems development at eBay and senior vice president of engineering at Excite@Home, where he led consumer product and infrastructure development. Jeff holds a bachelor’s degree in computer engineering from the University of Illinois and a master’s degree from Harvard University. He is a board member of Electronic Arts (EA) and The Exploratorium, and former board member of Illumina (ILMN; 2014-2016).